Alisha M. Risen-Kent is working toward her BA of Creative Writing at Southern New Hampshire University. 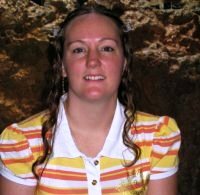 She lives at home with her four children and cat in Texas where she loves working in her garden. Her passions are reading, writing, drawing, and photography and she often creates the artwork for her books. She is an avid player of Dungeons & Dragons© and she comes up with most of her story ideas from the campaigns she plays in. She also loves Renaissance festivals where she can dress up as the characters she creates. She’s an advocate for conservation efforts, volunteering where she can to help rehabilitate injured animals and she donates to good causes. She is also strong in her faith and she believes that God has a plan for everything. 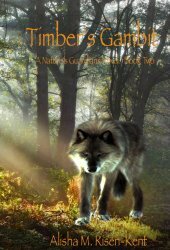 My latest book is about a grey wolf named Timber who decides to leave his pack and find one of his own. On his journey his meets friends, and foes, including an annoying coyote who becomes a priceless friend, an old badger that keeps him from starving, and a she-wolf who completes his pack. During his journey he faces many challenges, including human hunters. After being shot, he is rescued by wolf conservationist who eventually returns him home. While this book, as well as the rest in the Nature’s Guardians series is targeted at children 8-12, readers of all ages can enjoy this coming of age story. Each book contains a section on conservation that talks about where I gathered my information, the current plight of endangered species, such as the American grey wolf, and how readers can help. I have several things I am proud of: One, the illustrations; Two, how I was able to capture the true essence of the wolf while allowing children to “be” the wolf; and Three, the connections I made while doing my research, such as the Wolf Conservation Center. I knew I wanted to be a writer from the moment I could read. Despite the odds, and my family and friends discouraging me, I persevered. I wanted to tell stories and did so whether they had publishing potential or not. In fact, most of my short stories can be found for free on websites like FictionPress.com and DevianArt. Many people have inspired me along the way, to include friends (mostly D&D partners or fellow writers from DeviantArt) and published writers, like Margaret Weis and Stephenie Meyer. Children are the most interesting people on the planet. They are like sponges that soak up everything around them. When I read to children, I accompany the story with a collectible plush, a wolf in Timber’s case. 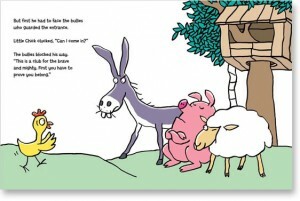 Children’s eyes light up when they see that animal and are able to associate it with the story. I remember at my first book signing, I had a two year old sitting in the audience. 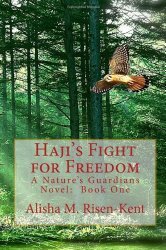 At the time, I was reading my first book, Haji’s Fight for Freedom, and I had a plush falcon that made noise when you squeezed it. That little boy took the falcon and squeezed it the entire time. In the end, I let him keep it. I stay connected with my readers in several ways. One: most of them are local. Two: A have a website a website and social media site. I’m also very active on DeviantArt and FictionPress. Three: I make donations for every child who buys a collection set and, since I keep their information, I am able to inform them when new books are available. I also have book signings and readings at schools and libraries. My biggest enjoyment of being a writer/illustrator is the joy I bring to readers of all ages. That’s why I submit most of my writing on free sites. In my Nature’s Guardians series, it is my goal to do what I can to help conservationist protect our wildlife. My greatest pleasure is being able to make those donations. My biggest challenge is finding a publisher or agent. Because of the importance of my topic, I didn’t want to wait to find someone willing to publish my book. However, I am still on the lookout while bringing my books to the most readers I can. Need to find a new series for middle grade readers? 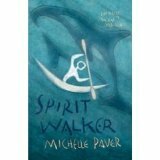 Michelle Paver’s books: Wolf Brother , Spirit Walker and Soul Eater sat unread on my bookshelf for far too long. These days, they are rarely in my office. These are the first three titles in a terrific series for middle grade readers. I have loaned each of them to many, many kids and, without exception, the books are devoured and the series is completed. 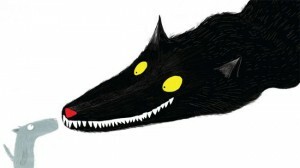 Wolf Brother is captivating, it has the perfect combination of tension and excitement. Set in primitive times, Wolf Brother begins when young Torak’s father is killed by a terrible demon – a huge bear that has been possessed by a creature from the Other World. Now, orphaned, Torak adopts a wolf cub and discovers he can communicate with this new ally. Together, they begin a seemingly impossible quest; to reach the Mountain of the World Spirit. The Chronicles of Ancient Darkness is a terrific series for middle grade readers. I strongly recommend it – especially for boys. Relatively short chapters, a fascinating setting and terrific tension make for a series that appeals to many reluctant readers.